On March 31st, 2019 we nominated Melissa Coenraad as our NDP candidate for 2019 Federal election. 2019 AGM was held on Sunday, Jan 27, 2019.
thank you for all the support in the recent provincial election (click to see executive letter). For election results visit Elections Ontario site. See photos from our BBQ on Facebook or Flickr. 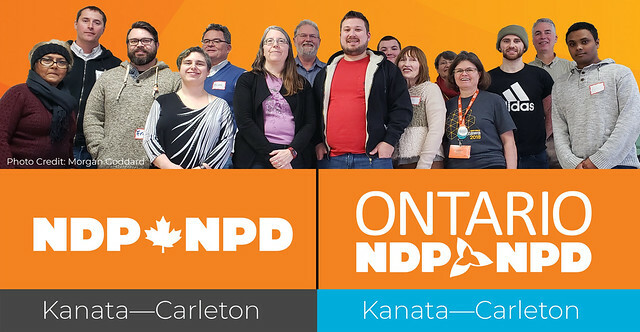 This is the official site of the Kanata—Carleton NDP federal and provincial electoral district associations (EDA). The Ottawa communities of Kanata-South, Kanata-North and West-Carleton, including Carp, Fitzroy Harbour and Constance Bay are part of the Kanata—Carleton electoral district.